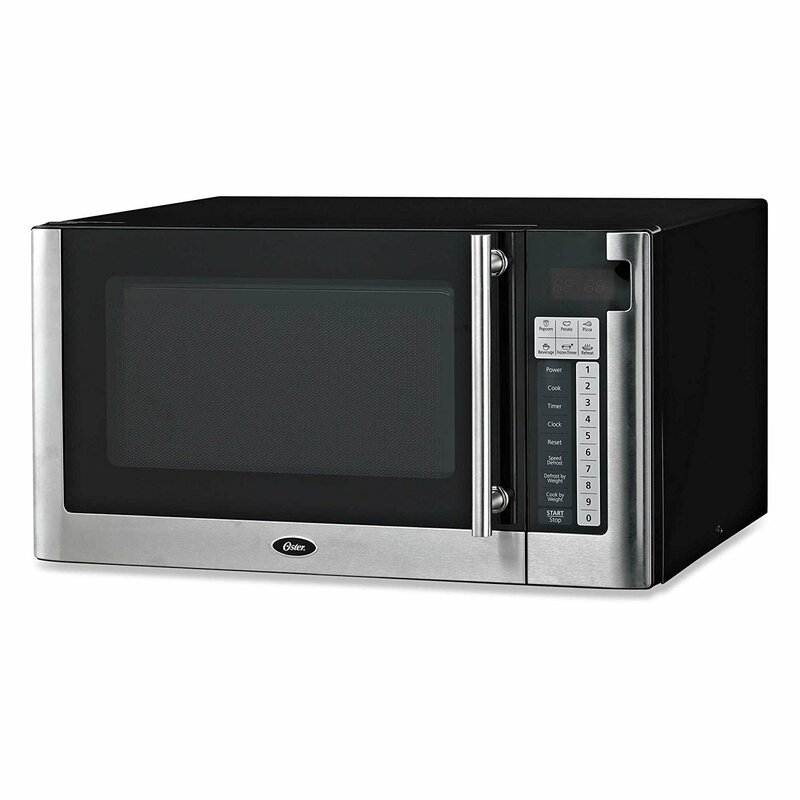 Oster 1.4 Cubic Foot Digital Microwave Oven has 1200 watts of coking power to cook and reheat food rapidly. 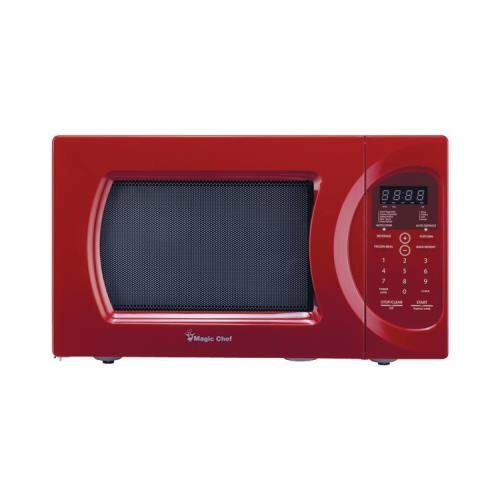 It has 10 variable power levels for customized cooking requirements. The 1.4 cubic feet interior is a large cooking space to accommodate larger food pieces including large size plates, dishes and food packets. 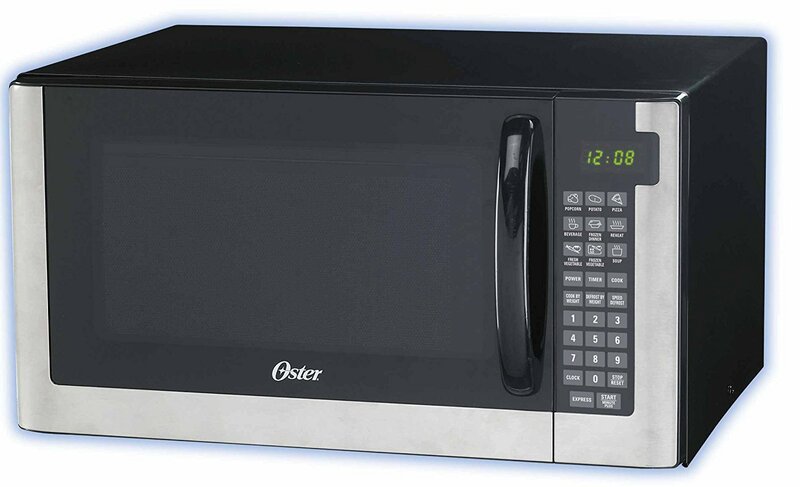 This Oster 1200-watt microwave features electronic child lock feature to stop unauthorized use. 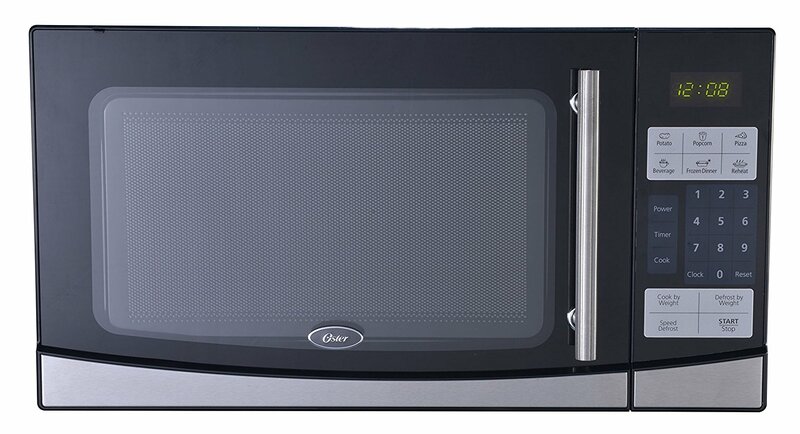 The oven has a stainless steel exterior that looks very stylish and will surely complement your kitchen décor. The front door is made of high grade stainless steel material with black steel handle. 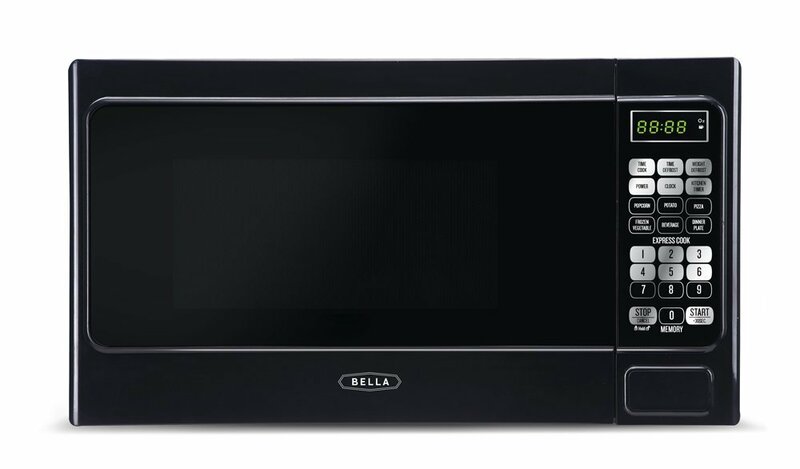 Apart from all these features and capabilities, it comes with an easy-to-read screen that displays current cooking status. 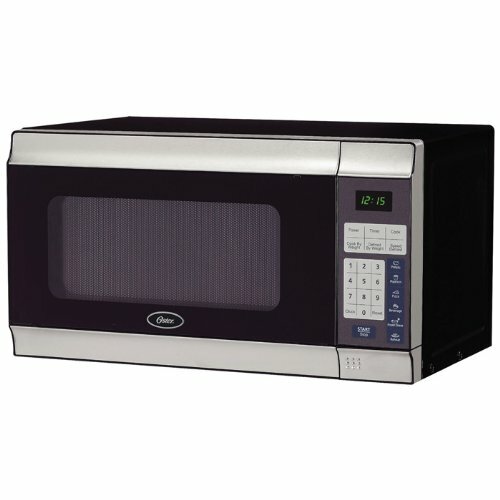 You are also able to use express cooking for quick meals. Further, Oster 1.4 cu. 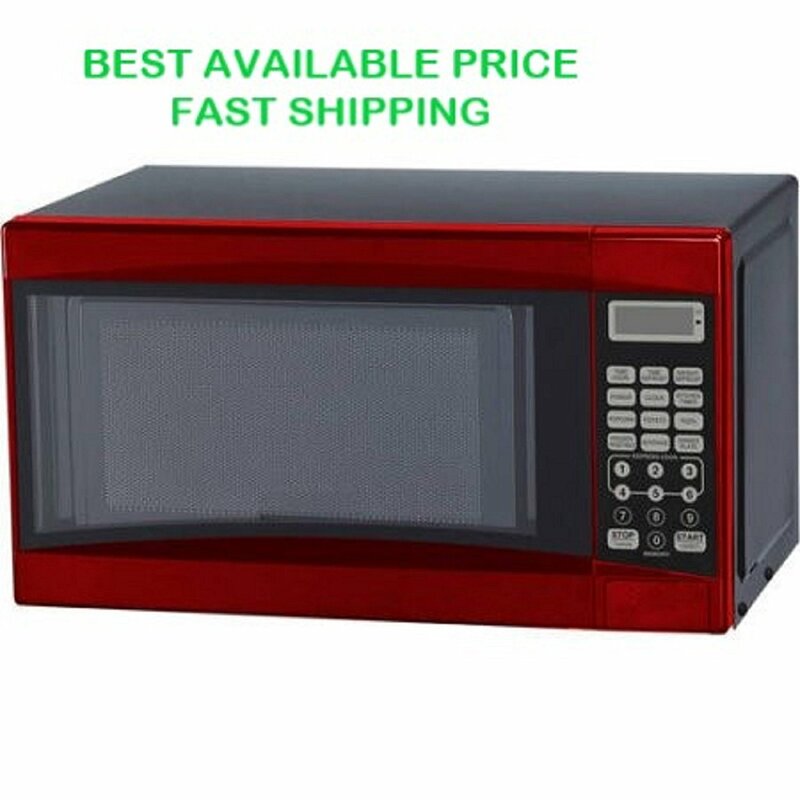 ft. digital microwave oven comes with too many one-touch cooking options for beverages, leftovers, pizza, popcorn, frozen dinners and potatoes. 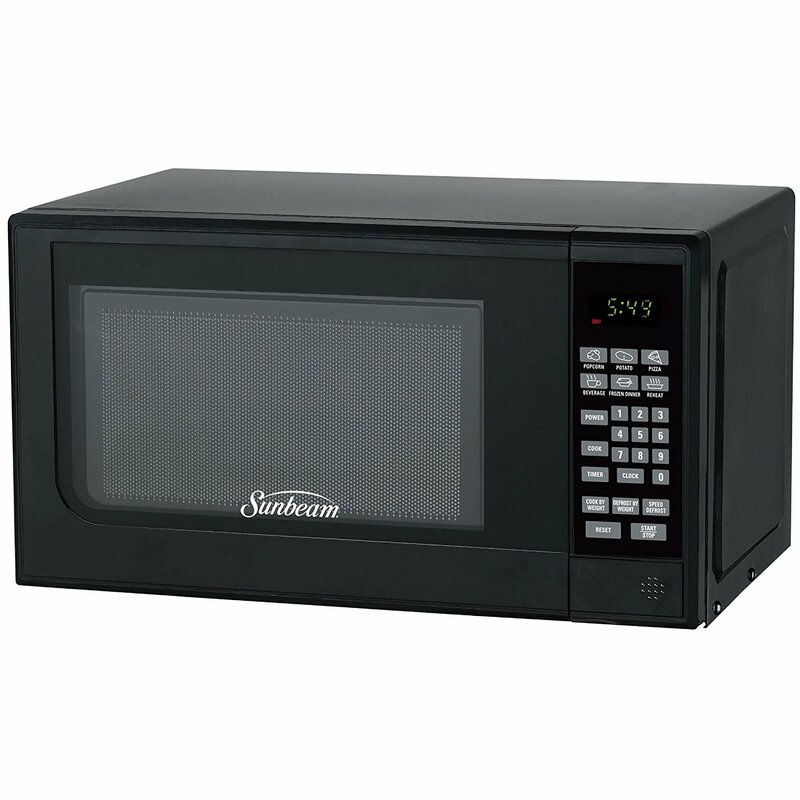 The product dimensions are 19.45 x 21.77 x 12.24 inches and the weight is 45 lbs.